Ever since film became a widely-spread medium, filmmakers have turned the camera on themselves or the industry that produced them. 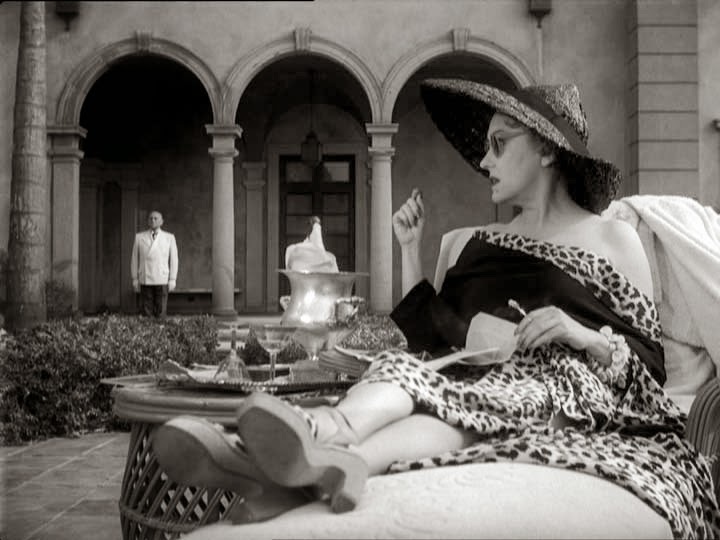 There is a rich pantheon of films about cinema, and about Hollywood in particular, ranging from the satire of Robert Altman's The Player and the mystery of Mulholland Drive to much ropier efforts like Whatever Happened to Baby Jane? and An Alan Smithee Film: Burn Hollywood Burn. All of these examples, however, owe some kind of debt to two films released in 1950, both of which revolve around the mental frailty of fading actresses. One of these films was All About Eve, Joseph L. Mankiewicz's captivating melodrama with a barnstorming performance by Bette Davis. 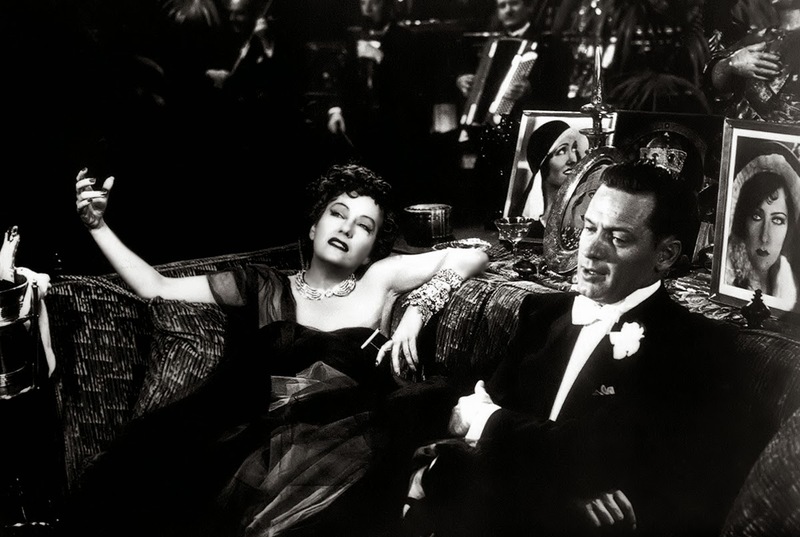 The other was Sunset Boulevard, the first of many triumphs that would befall Billy Wilder in this decade. 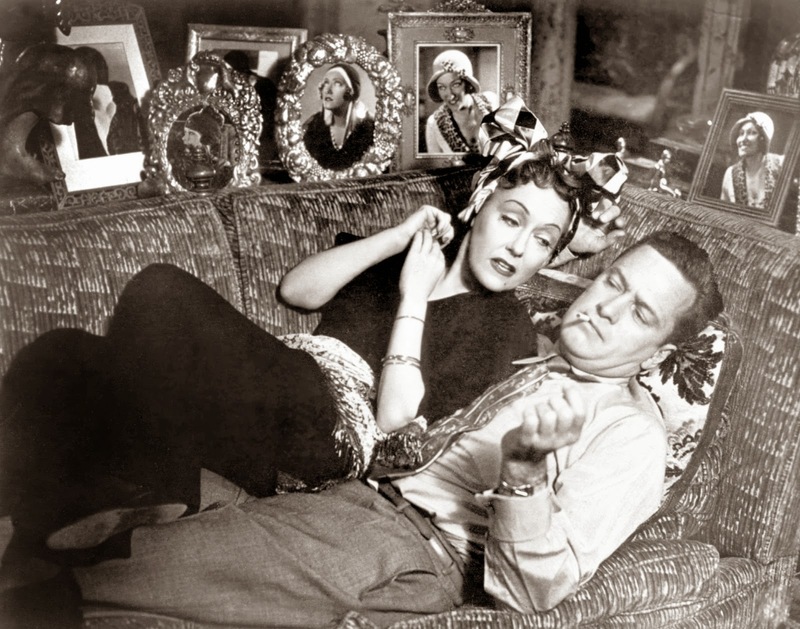 While Sunset Boulevard has become almost universally admired, Wilder's approach is very different to most other directors who have dabbled in this area. Works like Vertigo, Peeping Tom and 8 1/2 are deeply auteurist: they are very consciously the product of a singular vision, with the film being shaped and driven by the director's personal relationship to the medium. Wilder's approach, on the other hand, is much more understated. 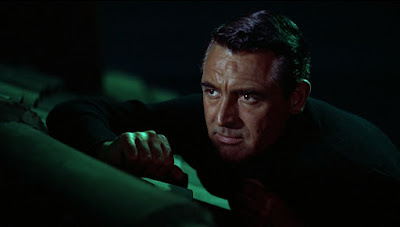 Throughout his career he deliberately eschewed the techniques of conscious imagery employed by Alfred Hitchcock and Orson Welles, believing that it distracted from the material. 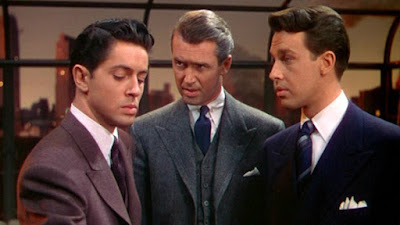 For Wilder, a film began not with the director's vision, but with the script and the characters that flowed from it. Perhaps this is why his work is more celebrated in film circles than among the wider public: everyone knows the imagery of Hitchcock, while few could name three of Wilder's films of equal quality. 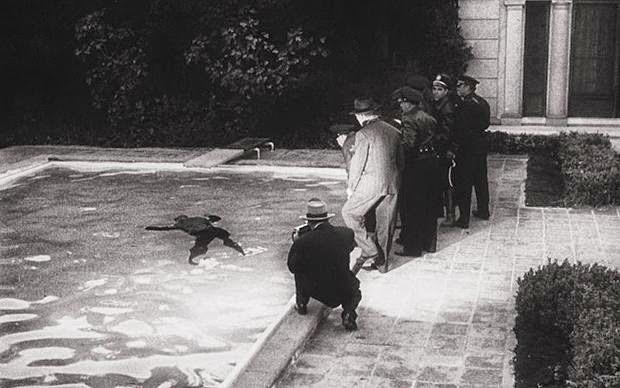 Sunset Boulevard was once described by film critic Richard Corliss as "the definitive Hollywood horror movie", and it isn't hard to see why. There is a ghoulish, almost Gothic feel to the cinematography, similar to what Hitchcock achieved on Rebecca but with a greater emphasis on decay and the grotesque. John F. Seitz had worked with Wilder on The Lost Weekend and Double Indemnity, and reutilised a trick he developed on the latter picture: before every take he sprinkled some dust in front of the camera to give the impression of mustiness. Aside from the visuals, the horror aspects are also reflected in the plot. 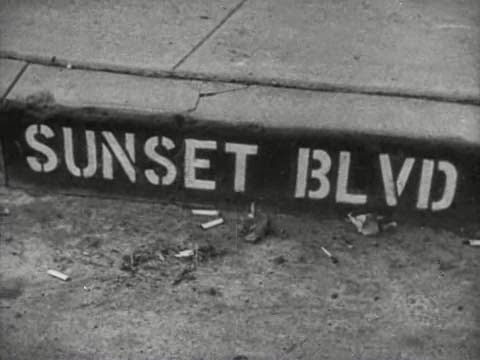 Sunset Boulevard is famously narrated from beyond the grave, taking the film noir device of the unreliable narrator and making it seem all the more disembodied. 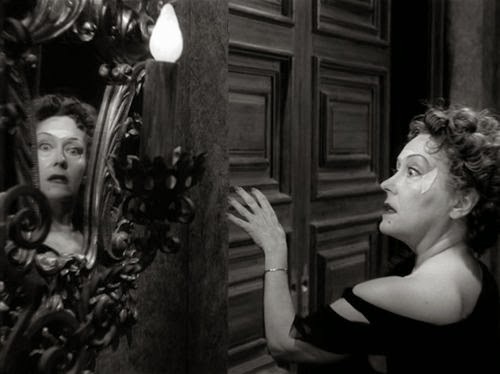 The film begins and ends with the recovery of a corpse, and when Joe Gillis first arrives at Norma Desmond's house, he is mistaken for the undertaker. The whole story is about characters barely clinging onto life, with both Gillis and Desmond in great danger of being swept away by new, younger, better talents. 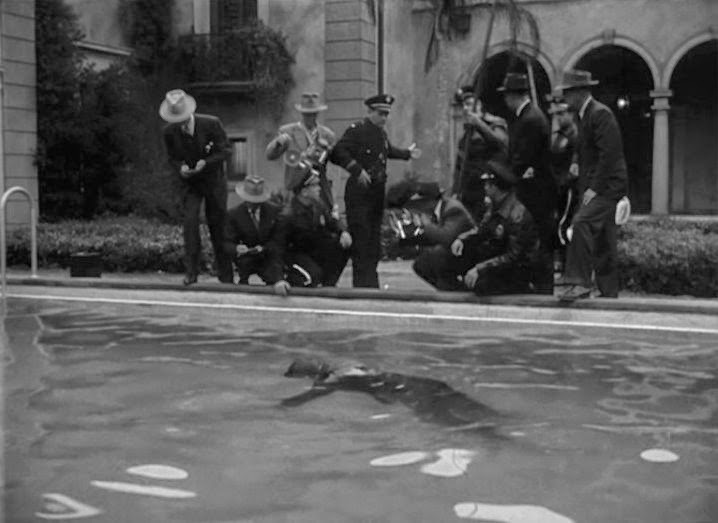 While the horror aspects draw out the similarities between the characters, Wilder also uses the language of film noir to illustrate their differences, particularly their stylistic ones. 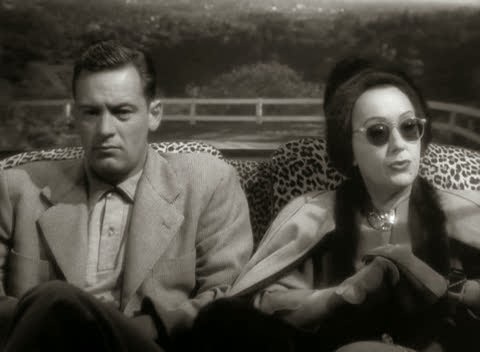 Gloria Swanson's character is preening and melodramatic, while William Holden is more naturalistic; they form two different reactions to the underlying atmosphere of cynicism and desperation that film noir does so well. 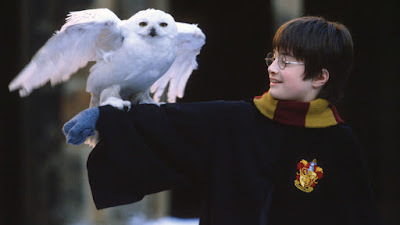 But while the differences are played up, the film never becomes a pantomime, and like on Double Indemnity the narrative is never overbearing or excessive. Sunset Boulevard has a number of fascinating themes and ideas, all of which are realised in a substantial yet tantalising way. 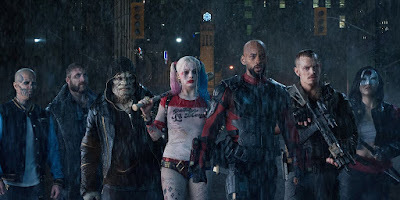 One of its main ideas is the heartlessness of Hollywood, a business built upon glamour that rarely lives up to its reputation. It's a place that turns ambition into world-weariness, success into mausoleums, and shows no mercy regardless of whether you're a penniless writer or an insanely rich (and just plain insane) star of yesteryear. Ultimately, everyone's fate is the same: abandonment, emptiness and death, and we have little control over any of these. 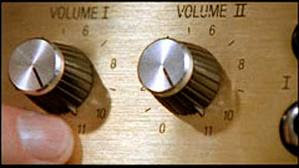 This theme is reinforced by the intimidating architecture, utilising the same sort of technique that Roman Polanski would later apply in his Apartment Trilogy. Even without the Gothic visuals, Desmond's house is an unnerving place to be, with people always being shot in middle- or long-distance so that they look tiny against the staircase, doors and columns. The titular street is almost personified in the opening shot, bringing an eerie, ever-present stillness to an ever-changing world. The film is also very interested in the fleeting nature of fame, epitomised by Desmond's famous remark: "I am big! It's the pictures that got small". There's a fantastic scene about halfway through where Desmond has shown up on Cecil B. De Mille's set, and a spotlight happens to fall on her. While the spotlight is on her, people recognise, crowd round and adore her - but then the director orders it away and the movers and shakers move on. It's a beautifully sad metaphor, realised cinematically through an unfussy but meaningful gesture - that really is Wilder in a nutshell. There's also a minor comment in the film about the rivalry or rift caused by the introduction of sound. Desmond's comments about faces being replaced by endless talking make an interesting point about changes in acting styles, and how technological changes can lead to art forms being lost. 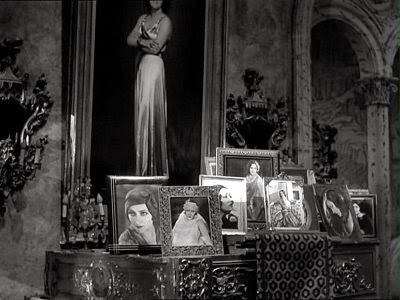 While The Artist approaches this issue in an optimistic manner, arguing that there is room for every kind of style of filmmaking, the characters in Sunset Boulevard have very little to hope for. 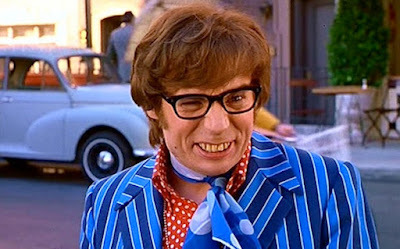 The film also deals with the issue of madness, offering a number of explanations for Desmond's mental state. Rather than simply under-write her as non-specifically senile, the film explores how her madness may spring from a fear of abandonment, arguing that such attitudes are an inevitable product of the star system, where people are raised up and then quickly forgotten. Equally, her dismissive attitude towards the "mediocre" talent of the day presents a different position - that madness is the product of obsessive nostalgia, and that insanity results from failing to embrace change. 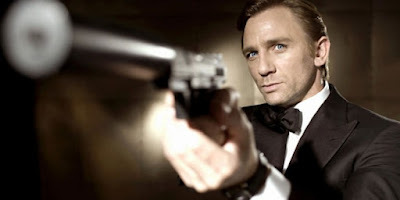 On top of all its richly-layered themes, the film is a self-reflexive treat in terms of its casting. Aside from the brilliant central performances by Holden and Swanson, it boasts a supporting cast of Hollywood greats playing themselves (or versions thereof). 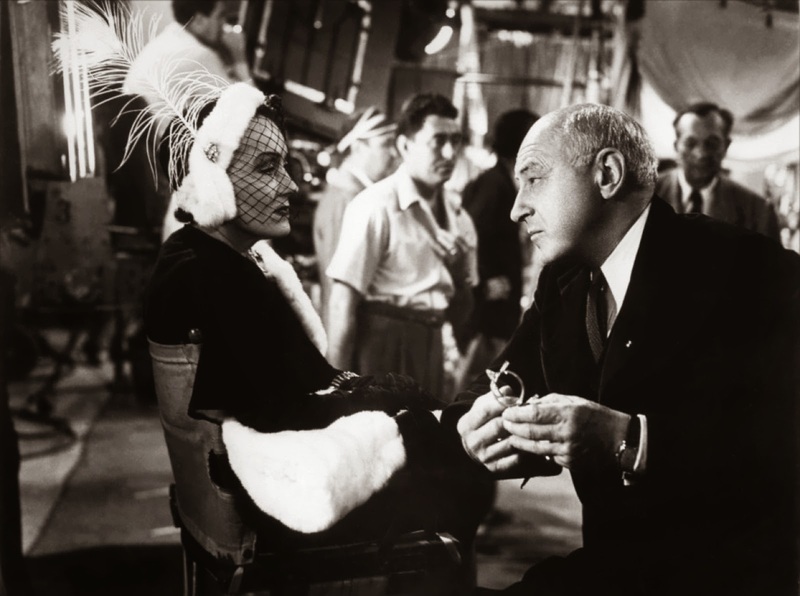 Erich von Stroheim, who worked with Swanson on the ill-fated Queen Kelly, channels into his character all the humiliations he had suffered at the hands of Hollywood studios. 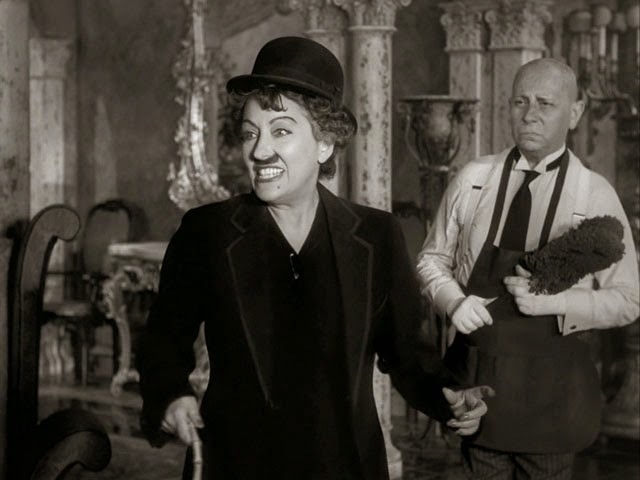 Buster Keaton looks as melancholy as ever as one of Swanson's "waxworks", and Cecil B. DeMille remains deeply powerful, even without his iconic jodphurs. 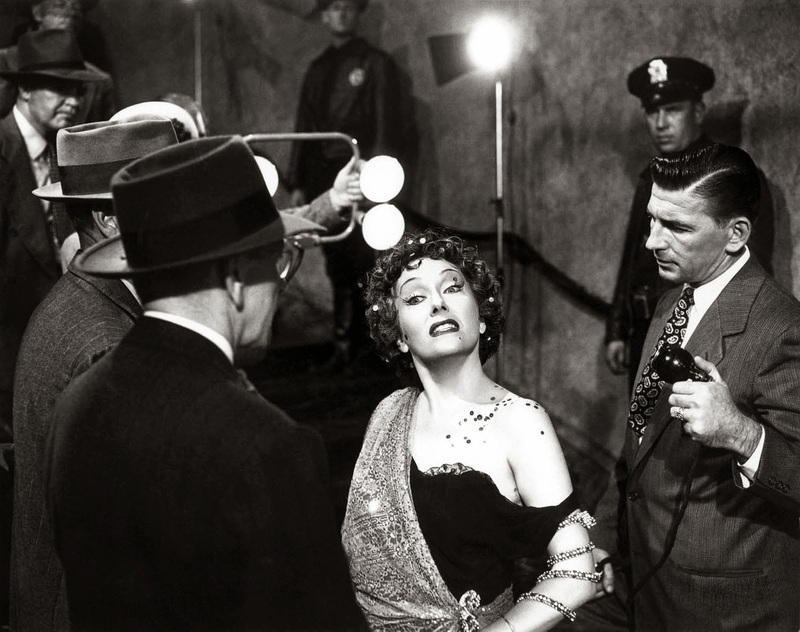 Sunset Boulevard is a truly great film with a wealth of fascinating ideas, which remains one of the greatest films ever made about Hollywood. While Mulholland Drive and Peeping Tom are ultimately more mesmerising, it is still an all-round triumph with a great script, a fantastic cast and inspired direction from Wilder. It is essential viewing for anyone interested who is interested in Hollywood - in other words, it's essential viewing for everyone.